Team Days are fun, active team-building events at Camp Taiwan which address all elements of team functions. Tailor an event to meet specific needs or choose from one of our popular core team packages. All packages are a full day and include thorough framing of the event with debrief sessions throughout the day. The final debrief session gives participants the opportunity to review the day’s events and relate them to their team and company moving forward. Participants are led through a series of fun games to prepare them for activities ahead and to create a relaxed atmosphere. Groups take to our outdoor elements in friendly competitive or cooperative games. The perfect opportunity to put into practice lessons learned from earlier sessions. Team communication is key because it can either build a team up or tear it down. The TeamUP Communication package brings various communication issues to light through fun, engaging activities. The start of a new team is a critical point in the development of a company or department. TeamUP New Team Day is designed to lay the groundwork for new work groups and bring teams together in a unique and meaningful way with specially selected activities. Even good teams need refreshers from time to time in the art of problem solving. TeamUP’s Problem Solving program is a combination of activities which put teams to the test in fun, competitive games. Successful teams develop vision and goals, overcome differences, share leadership, carry out coordinated action and assess performance. The foundation of this difficult work is trust. TeamUP Trust Day involves a progression of trust-based activities. There are many ways to lead and different definitions of a good leader. TeamUP Leadership Day is a mix of games and activities that highlights the varying roles of a good leader. Inspire team members to take the next step within the dynamic of the group and see the results. Do you just want a fun day out to boost morale and instill a sense of team in your group? Put together your own Reward Day by choosing from Camp Taiwan’s extensive list of games and activities. There is no better way to bring a group together! TeamUP also tailors and facilitates longer retreats and programs. Camp Taiwan boasts full dining facilities, luxury safari tents, hot showers, indoor/outdoor meeting areas, conference rooms, wireless Internet and more all in the mountains of WanLi,to make any corporate retreat one to remember. Combine elements from our TeamDays or work with TeamUP staff to tailor an event to meet specific goals and needs. TeamUP provides specialized events in locations all over Taiwan in addition to its Team Days at Camp Taiwan. 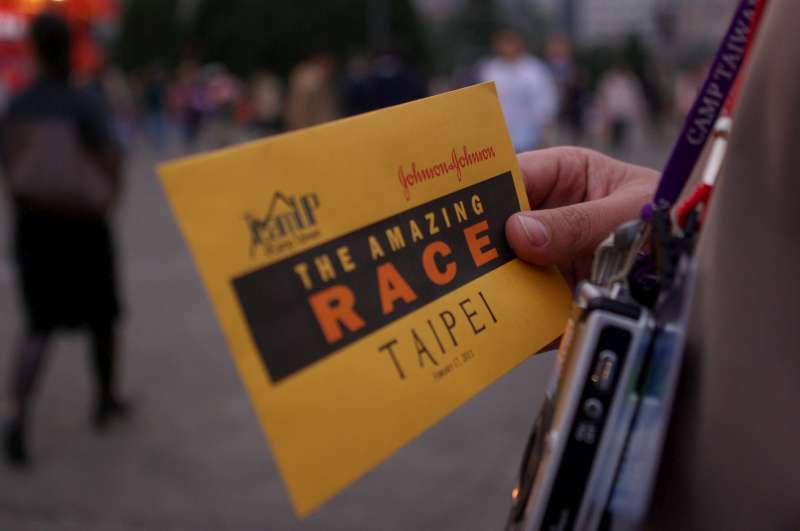 Recent events include facilitating a corporate conference, a hotel-based wide game, and Amazing Race: Taipei, which took IT managers from a leading company all over the city in a complex, four-hour race. 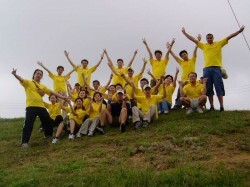 Contact TeamUP at Camp Taiwan to begin organizing your special event.